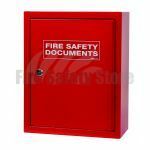 Fire document cabinets are designed to protect your most important documents from potential damage in the event of a fire or flood. 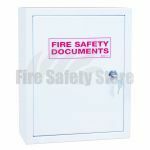 Here at Fire Safety we have a wide range of document cabinets including solid metal cabinets, Perspex holders and soft case fire document holders. 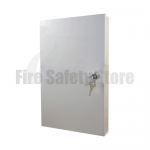 We have extra locks available for the metal containers for extra security. 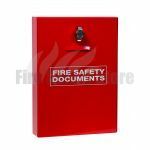 Most of our fire document cabinets can hold a4 size papers and lever arch files and have lots of room for your documents. 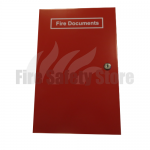 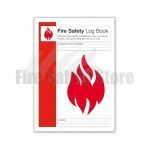 Some of the cases read 'fire safety documents' on the front as their intended purposes was for fire safety and maintenance log books to store your risk assessments. 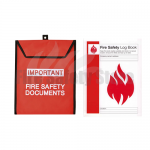 However, they are useful for storing other important business documents that your business would not want to lose like legal documents, exam paper or even cheques and cash. 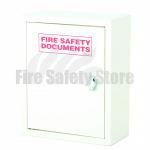 You can receive next working day delivery if you order before 2pm. 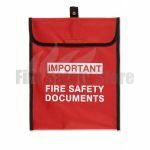 If you require any further assistance then please don’t hesitate to get in touch with our sales team on our Freephone number.